Most of this week has been painting and since the painters have 90% of everything covered in plastic and the colors we chose were very close to the originals… the pictures don’t seem super dramatic. 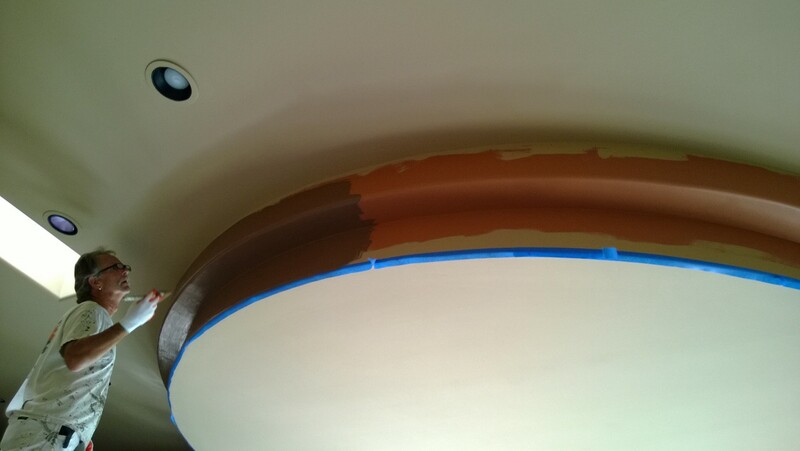 The soffit in the kitchen gets a rich coat of chocolate brown to tie in the new cabinet color. The office gets a softer shade of blue. 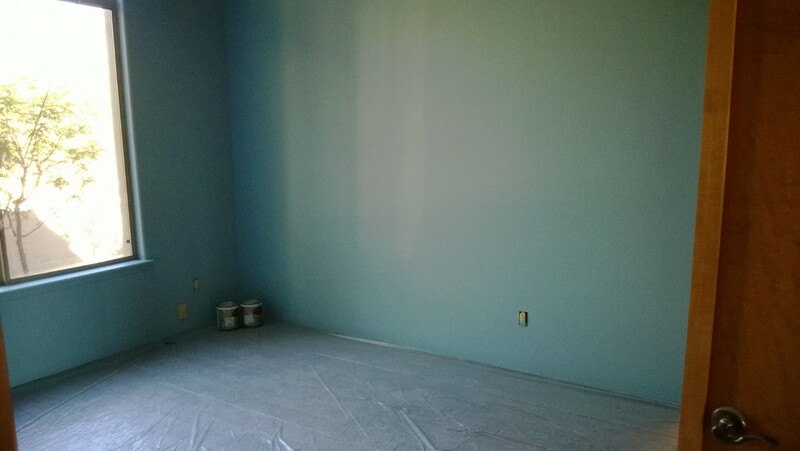 The office stayed blue, but went to a slightly softer shade- this one is Dunn Edwards Frozen Tundra, which I’ve used a few times in the past- it just never disappoints. 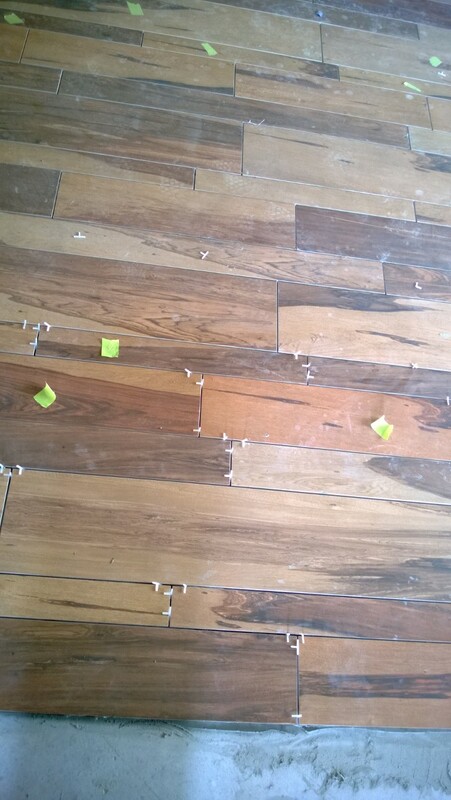 All the while, the tile guys are busy at work in other parts of the house. 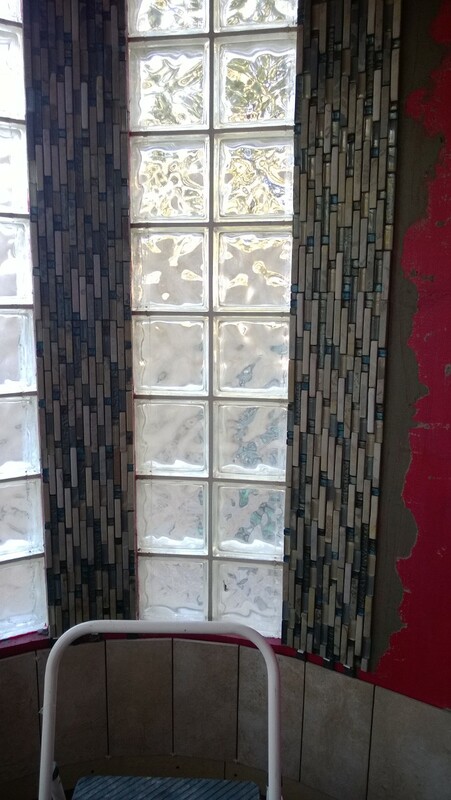 Here is the custom decorative tile that I designed for their shower. It’s a mixture of slate and three different colors of glass tile. It’s both organic and sparkly at the same time. PROJECT MANAGEMENT TIP: Whenever possible, don’t double up on these two trades, as it tend to make both a little crabby for having to share the space. Even so, they’ve all done a great job at working together to meet our very aggressive dead-line! 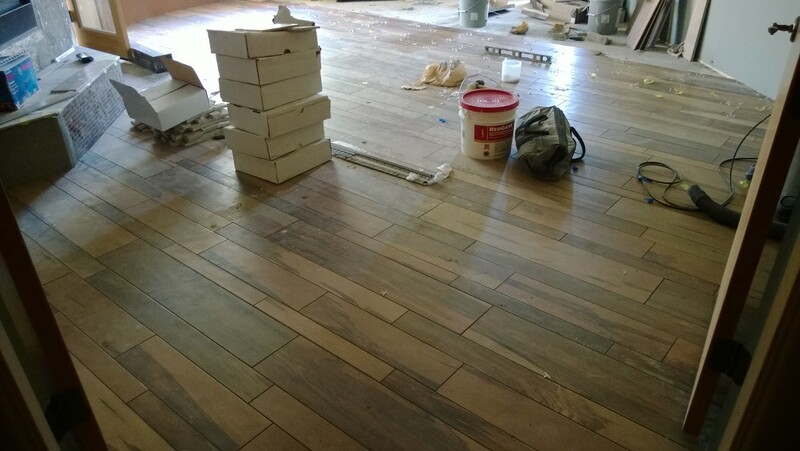 Master bedroom flooring- it’s porcelain! 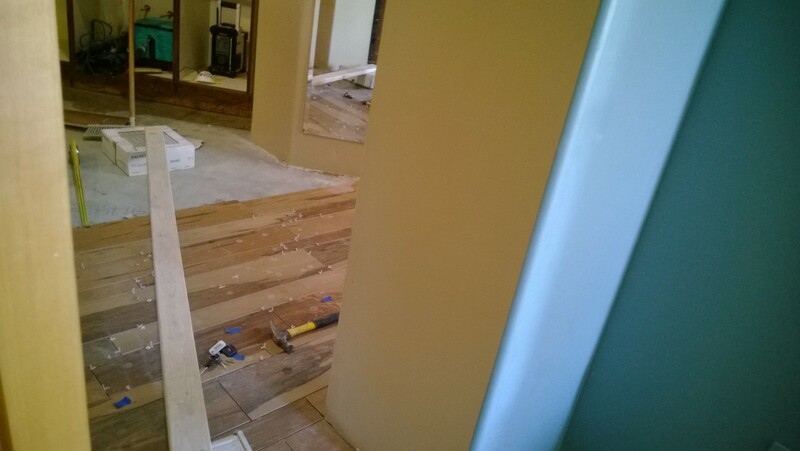 The master bedroom, bathroom and closet are getting another type of wood-look porcelain tile that uses four different sized planks and has dramatic variance in coloring from plank to plank. I LOVE this one! The floor was so big in this space, that we really needed some visual texture to break it up- that’s a design tip, folks. This picture shows the 2×6 “bridge” they are using to get to the shower to continue installation in that space as well. They are really jumping through hoops for me! I was banned from entering the bathroom to see the progress of the shower as they didn’t trust that I would fall onto the wet tile. Fine! I’ll see it Monday! Previous Post Fun with Glitter!